How many "bad notes" do parents receive each week?! Tons! 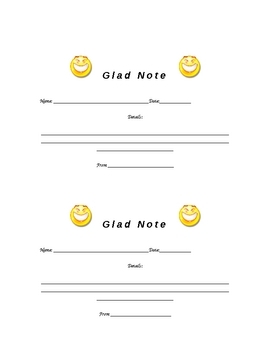 This "Glad Note" allows you to praise a student and make a positive home contact. You'll be surprised how far this small step goes with parent relationships. The half-page size of this document makes it easy to print, fill-out, and give away.